Thank you very much for your interest in this tour! 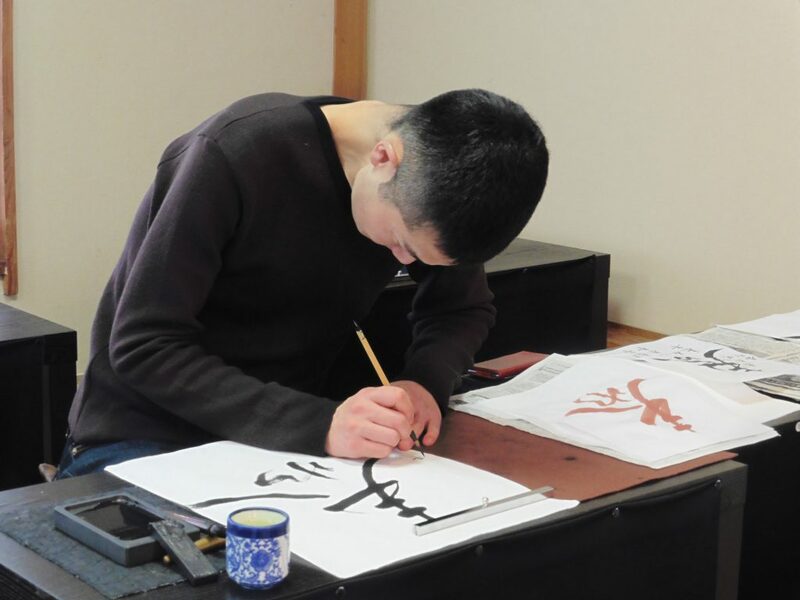 Japanese calligraphy, which is closely related to the tea ceremony is now available as a workshop. A hanging scroll with calligraphy is displayed at a TOKONOMA, an alcove, the most important part of the tea ceremony room. 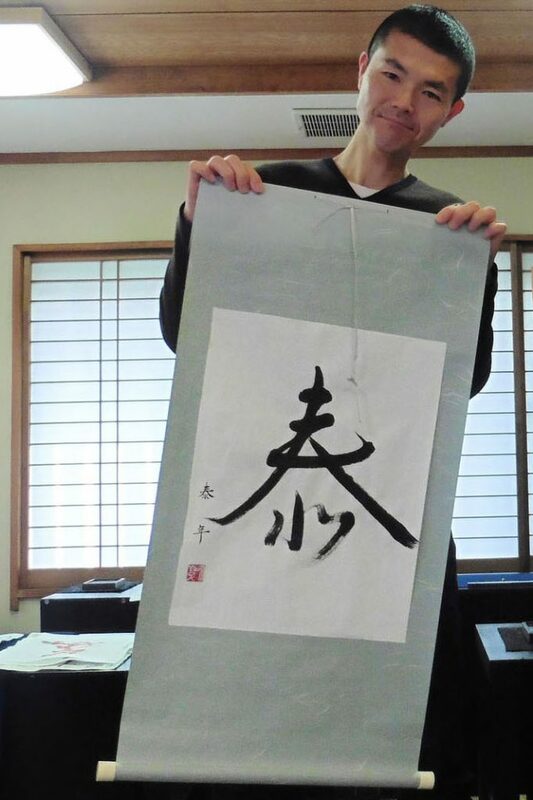 Learn the essence of Shodo and find yourself through the practice of self-expression using Kanji characters. Your work will be mounted on a scroll and presented to you to enjoy at home. Make an original piece using a specially selected character with an ink-dipped brush. The staff will mount your work on a hanging scroll and present it to you to take home. 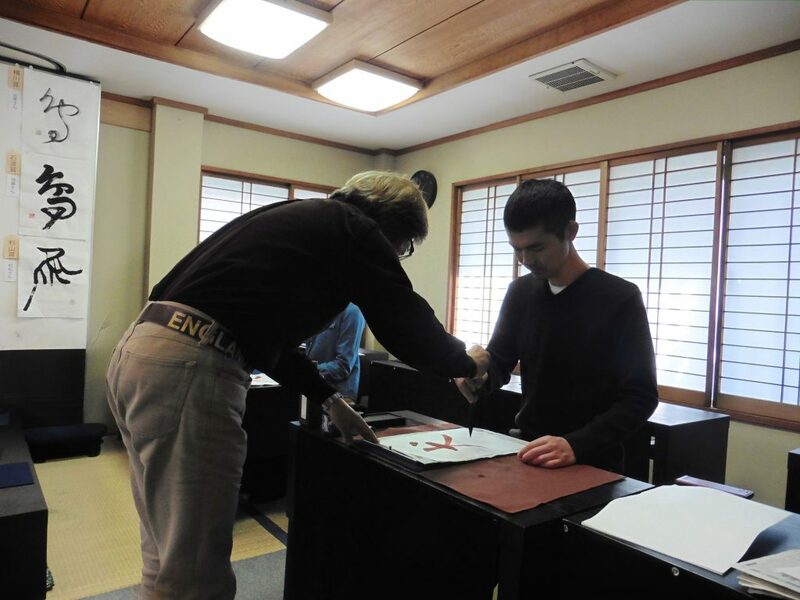 The instructor will explain the spiritual backbone of Shodo. Students will practice writing a simple Kanji character. The instructor will show you how to write your character and present you with a sample. Write the character on the paper to be mounted. Calligraphy master’s classroom in Toritsu-Daigaku, Tokyo. Your interpreter will be there to take you to the class. 13,000 yen per person -includes interpreter (English) fee. * Cancellation Policy: Full amount will be refunded if contacted up to 3 days prior to the event. Otherwise no refund is granted. Your work will be mounted on a hanging scroll and presented to you to take back home. Photos taken during Calligraphy Workshop are provided later over the internet. You will need to take your shoes off in the room, so please wear socks or stockings.